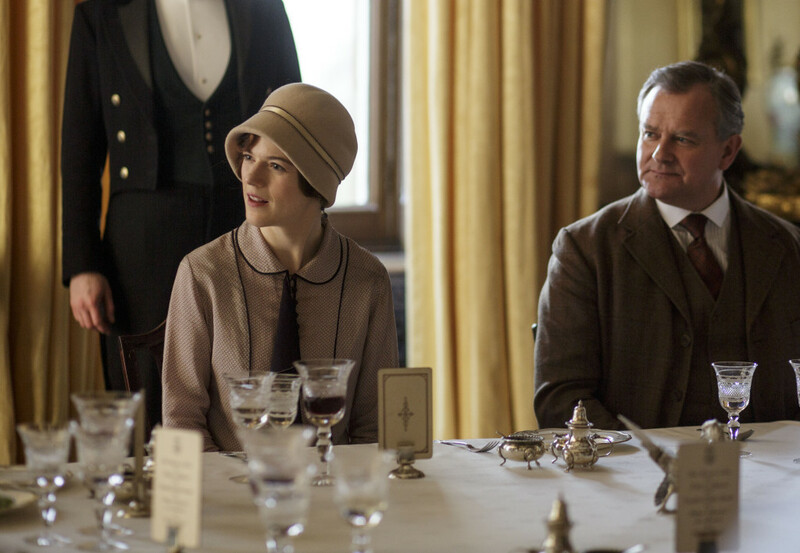 Tonight Rose Leslie, reprising her role as Gwen Dawson, returns to Downton Abbey! Watch a sneak peek of Episode Four, airing at 9:00pm ET|PT on PBS Masterpiece. 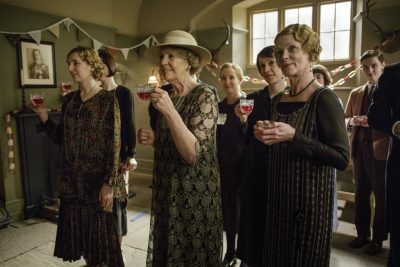 In all honesty, I think last week’s episode of Downton Abbey (Episode Three) was the very best I’ve seen in all six seasons. As I live tweeted last Sunday, I couldn’t stop grinning and FEELING so happy. First, Mr. Carson and Mrs. Hughes finally got married in a lovely ceremony, which matched Mrs. Hughes wanted. Cora was able to get Mary in check and the church ceremony was followed by a sweet reception in the school house. The couple was surrounded with friends and family, making it a truly joyful event, indeed. 2. Anna is pregnant! Here’s hoping the proposed surgery will help prevent miscarriage. 3. Edith had some really stand-out moments. It was wonderful to see her stand up to her horrible editor and grab the bull by its horns. Of course she had help from the lovely Bertie Pelham. He seemed so taken with Edith, willing to help her in any way, just to spend some time with her. I really hope a relationship between Edith and Bertie can work out. On twitter last week someone raised the point that Bertie may not be accepting of Marigold. But from what we’ve seen, I don’t think he would judge Edith like that. Thoughts? What moments stood out most to you? This Anna and Mary crisis is most likely about the pregnancy…YIKES! And from the preview released last week (video below) we know that the former maid is Gwen Dawson (Rose Leslie), now Rose Harding, who returns. For those who don’t remember, Rose left Downton in season 1 after getting a job as a secretary. In Season 4, the servants received a letter from Gwen letting them know she was married. 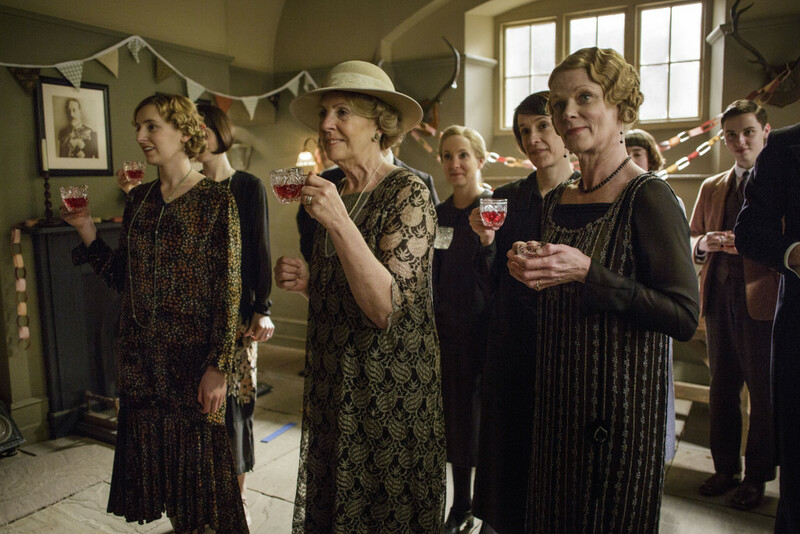 So what’s she doing back at Downton now…? 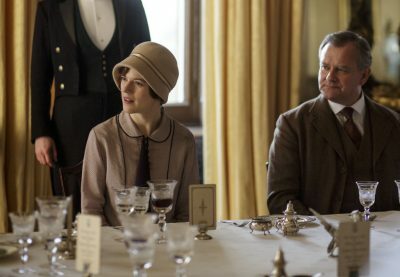 Check out two images from Episode Four (below) and make sure to tune into PBS Masterpiece at 9:00pm ET|PT for the new Downton Abbey. I’ll be live tweeting (@WeSoNerdy), so come join the fun!